8th It seems that Canon has been very busy applying for lens patents. We’ve been sent a list of others that they’ve been granted. Note that getting a patent does not equal ‘going to make’. I’ts standard practice to patent good ideas – before someone else does. Go to http://www.freepatentsonline.com for more info, but be warned, patents are not written for ease of reading. 7th A 14-24 is added to the Patent list at CR. This is a lens that we first heard of last year, as a design priority. This was from a collection of Canon info we received in September 2008. 5th A couple of Canon lens patents spotted at PB. 70-200 and a 60mm IS. Meanwhile at CR they suggest a 70-200 Mk2 is due on the 24th of this month. 11th A comment from a Canon person at a show (not to us) suggested that there would be some new wide primes in the spring. Could it be time to update the ~20yr old 20/24/28 designs (all f/2.8) with some f/2 glass. Third party lens makers are starting to show up the age of some of Canon’s (admitedly broad) lens line up. One of Canon’s hopes is that the newer higher resolution cameras will push people to upgrade to better glass – it’s profitable and helps lock people in to EF mount cameras. BTW Any photographers got good ideas about using an iPhone for their business? See our recent blog entryfor more. I’ve seen several comments that the 70-200 2.8L IS is currently difficult to find, but this has been the source of speculation for lots of lenses over the last year or so. 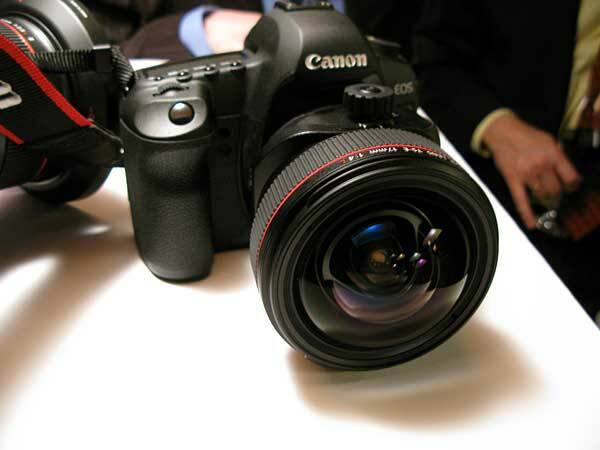 20th A 1D4, but no Canon lenses announced today. I’d say the appearance of the 70-200 2.8L IS would suggest that a MkII of this lens is not imminent, whilst the presence of the 24-70 does not rule out the long awaited IS version – that’s about as far as my guesswork will go this morning… those of a suspicious mind will note the comment [CR] that the 20-200 2.8L IS was pulled from a Canadian list of rebates. 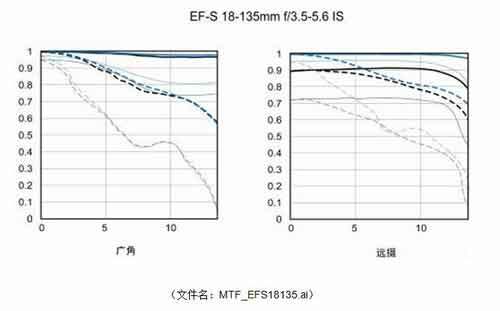 17th Expect a ‘rush’ of Zeiss lenses in EF fit. At the “Salon de la Photo” in Paris today there is a ZF 28mm in ZF, the 35mm will arrive in November, the 25mm early next year, followed by the 50 and 100 mm Macro. If it gets fixed… the title currently says IS for the lens. I’m also told (thanks) that the 100mm IS Macro is now turning up in stock at dealers. September 23rd A couple of 3rd party lenses that might be of use to some. The 14 is definitely manual focus and the 35 is probably MF too. My suspicion is that both may have been deemed not a significant enough advance and versions will turn up with ‘one series’ camera releases next year. Meanwhile, I’m told [thanks] that Canon Austria thinks there is a new version of the 24-105 – details link to existing (2005) lens info. I just updated the EF lens list below with the 3 new lenses. 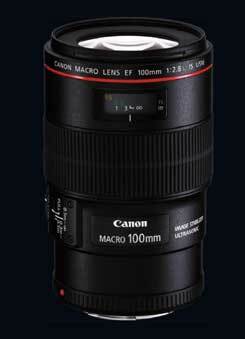 London, UK, 1st September 2009: Canon today announces the launch of the high performance EF 100mm f/2.8L Macro IS USM, the latest addition to its prestigious L-series, Canon’s flagship professional lens range. The EF 100mm f/2.8L Macro IS USM incorporates image stabilisation in a macro lens for the first time in the EOS lens range. This enables photographers to capture stunning close-up shots without the need for a tripod. The high quality, medium telephoto macro lens, has been developed for photographers who demand the highest level of optical quality. The new Hybrid IS system features up to 4-stop correction, compensating for the effects of camera shake, during normal shooting. Low friction ceramic balls support the moving elements, which allows for the amazingly smooth movement – needed when compensating for camera shake during macro shooting. Hybrid IS corrects shift movement – problematic when shooting up close -as well as angular movement providing photographers with the benefit of up to 2 stops at 1.0x magnification. The EF 100mm f/2.8L Macro IS USM features ultra low dispersion (UD) lenses that correct colour aberration for high resolution, high contrast images while the addition of Super Spectra coatings effectively reduce ghosting and flare for superior quality images. A nine blade circular aperture makes subjects stand out amid beautiful background blur and a silent, high-speed ring type USM Autofocus motor quickly achieves focus. The lens also includes a three position focus limiter to tailor the focus system range to the desired subject. EF 100mm f/2.8 USM Macro, within the range, the EF 100mm f/2.8L Macro IS USM supports a full range of accessories including: Tripod Mount D, Macro Lite adaptor 67, Lens Hood ET-73 and EF12 II and EF25 II extension tubes. The tripod mount attaches to the lens without the need for an adaptor enabling quick portrait or landscape switching without having to reframe the camera. Speedlites MR-14EX and MT-24EX can be attached using the MacroLite adaptor. FYI I’ve just published our lengthy review of the Canon iPF6100 printer on which I was testing the new Spyder3Print SR print profiling kit recently. So it looks as if the Macro is the only ‘L’ category announcement this time round. BTW – Just published the first full review of the new Spyder3Print SR print profiling system.I know lots of people enjoy the rumours pages, but it’s the articles and reviews I put the most effort into. If you’re curious about colour management, do check some of the non rumour content here – hope you find it of interest. 27th We’re still hearing of at least one specialist Macro lens to be released next week. A new version of the 70-200 2.8L is mentioned a lot, but we’ve not heard any more Fisheye update news. We’ve also had several comments suggesting a non ‘L’ shorter prime to go with the new pro crop camera, but no details. 12th A new ‘kit’ lens for the 5D mk2? We’re told (thanks) that B&H have marked the 5D2 + 24-70 kit as ‘discontinued’? Time for the 24-70 2.8L IS? 11th We’ve recently been told (thanks) to expect an EF 100mm f/2.8 IS Macro USM and one ‘cheap’ USM lens. 10th Seems just about any lens is ‘up for replacement’ at the moment. 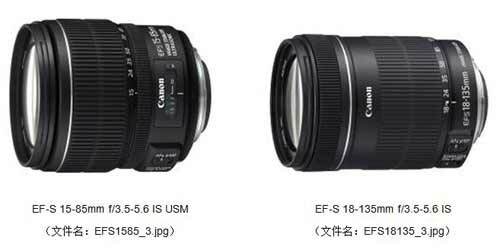 In a new one on us (thanks) we hear that not only is the 15mm fisheye going to get a refresh (USM – it’s 1987 vintage) but that Canon will finally add an even wider fisheye to the EF range. I use the 15mm quite often, and its optics will take some improving (it’s very flare resistant), but if one did come out, I might be tempted. As to wider? The bundle (with 5D2) is only available from the start of september, suggesting it will be announced this month. Only slight issue is the fact that it’s listed as f/4. I’d wonder why you’d replace a 24-105 with a 24-70. EF 100mm f/2.8 IS Macro USM and EF 50-200mm f/2.8L IS USM to appear with the 60D in a couple of weeks and with a camera in September (1D3 replacement?) a USM version of the 15mm fisheye and possibly an EF 24-105mm f/2.8L IS USM. So, no 24-70 with IS? It too has all new stabilisation, and an awful lot of bits of glass inside. It’s a lens we’ve been told about being replaced for some time, so I’d expect it to appear at a camera announcement before long, although not until after a slew of new white lenses. 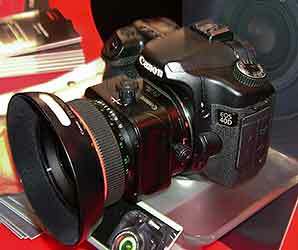 23rd The lens speculations have stepped up a gear after Canon mentioning their new version of IS. Have a look at our complete EF lens list below and make your own picks. We’ve had suggestions that the long white lenses are due for updates for some time, but firm info is thin on the ground. 22nd Amongst all the lenses that have been in short supply for a while, it looks as if we know what some of them are going to be getting in the next year or so. “Canon Inc. announced today the development of Hybrid Image Stabilizer (IS), the world’s first* optical Image Stabilizer which compensates for both angular camera shake and shift camera shake. The technology will be incorporated in an interchangeable single lens reflex (SLR) camera lens planned for commercial release before the end of 2009. 5th After putting out some questions about the remaining two ‘original’ TS-E lenses from Canon, we’ve had two different responses (thanks), both saying that the 45mm and 90mm were -not- on the upgrade list within the next two years. 3rd I was reminded of the date codes stamped on some lenses and have a list of what’s what. Fortunately it’s been a quiet week rumour wise, since I’ve had really bad food poisoning for a few days and only felt like being on the computer for short periods. Add to that the UK ‘heat wave’ and I’ve not been in the most agreeable of states ;-) It’s now raining and I feel like food again! June 30th While we are waiting for Canon announcements, I’m told (thanks) to expect a new 35mm f/1.8 lens from Canon (56mm equiv on 1.6 crop). This would replace the EF35mm f/2 which dates from 1990. We’ve had mentions of the replacement for the 35/1.4 L for some time, but this is not the same and a new one to us. 27th If you’ve tried ordering many ‘L’ lenses recently you’ll have noticed that not only have all the cheap ones vanished, but many are extremely difficult to get hold of. 26th There is widely expected to be a Canon camera announcement next week. The 2000D is most likely but we’ve not heard any news of associated lenses, although an EF-S prime ~30mm is popular on several forum wish lists. We’ve taken the release dates of all EF lenses and put them into a large table, showing announcement dates and whetherr the lens is current. 13th The 17mm is a great lens – no news yet on a date for the 24mm – next month says one dealer. 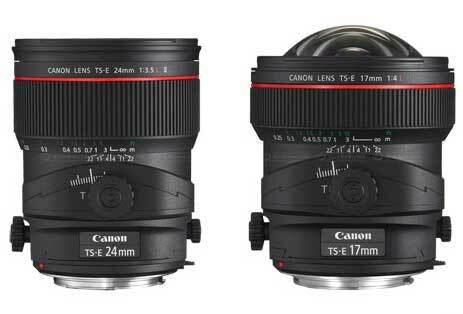 We’ve been told (thanks) that the new 17 and 24 TS-E lenses are some of the products of Canon’s new lens design technologies (the ones not mentioned in the marketing materials) and that their answer to the Nikon 14-24 is due this year or may be held until the 1Ds4 early next year. May 28th No sign of our tilt/shift lenses yet, but some TS-E 17 versions turned up in Austria and sample images are circulating. This reluctance to giving firm delivery details is causing a degree on annoyance amongst dealers since it seems to apply to almost all lenses not in the ‘best seller’ categories. 13th We’re getting asked by a lot of people about lens shortages and imminent announcements. Even lenses like the 100 macro are mentioned. My own suspicion, based on some Canon lens manufacturing schedules, is that a lot of the less common lenses only get made in smallish batches, which might sit around on the shelves for a some time. Take the current price rises (with a large currency element), add in scarcity and you have a great way of clearing inventory. Of course you can only push this so far before people start looking elsewhere. Several people have told us that they’ve found lenses by phoning round local photo shops, who might have one or two of the less common lenses ‘forgotten’ in the shop window… worth a try. I’d expect any replacement for the 24-70 and 100-400 to be announced with a suitably expensive camera, There is still the new version of the 35/1.4L to appear. 8th Signs of a new 24-70? Some comments in a DPR thread after a 24-70 2.8 IS appears in a Dutch price list and is listed with the 5D2 at several places. Our TS-E 17 page has a sample we were kindly sent. 29th A sighting of the new TSE lenses and a description of their performance (no pics) in a DPR post. 24th Where are the Canon lenses? [DPR] Shortages of a lot of lenses being discussed. Unlikely I’d have thought, unless a new one and a wider version were on the way. Not like Canon to leave such a hole in their lens line-up. …guess that’s a FF 1D4 or 35+MP 1Ds4. 24th You wait for ages and then loads of them turn up at once. The prices do make the new Canon T/S lenses look quite a bargain. 16th It seems the 400/5.6 is not easy to find [POTN] It still appears on Amazon in the UK though. The lens does stand out in Canon’s range as not having IS, so might be up for replacement. However, don’t forget that many of Canon’s lesser selling lenses are made in batches that may be spaced apart by quite some time. 12th Is the 50/1.0 still available? I thought it was discontinued, but we were pointed to it on the Canon Norway site. Not listed on the UK site, but then the 1200 is on the Norwegian site too… Unfortunately the specs look the same as the original 1989 version at the Canon museum. 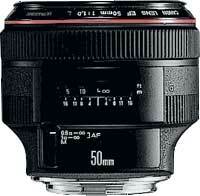 Back in January we had several reports of the 50/1.4 being back ordered at a lot of places. At CR it’s once again suggested that this lens is due for an update although one a comment we received suggested that a new prime to go with an xxxD was more likely. 10th A comment from PMA [SS] suggesting that a 100-400 f/4 IS is on its way, but perhaps not till next year, whilst the existing 100-400 looks due for update. 1st There have been consistent rumours about an IS version of the 24-70 2.8L for some time. 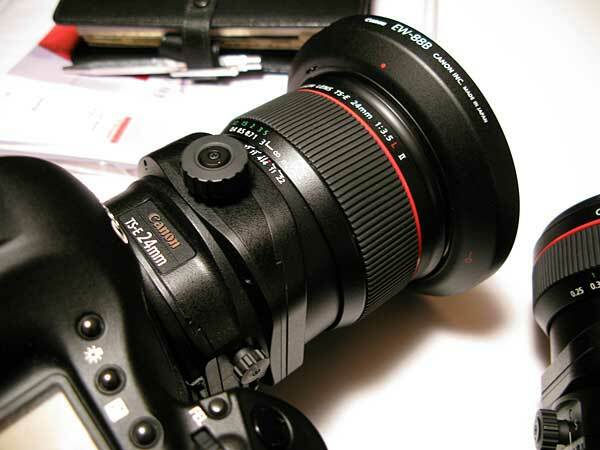 At CRthey’ve had a series of mails from Poland suggesting that the lens is listed as a kit option for the 5D2. Well, lots of people have been hoping Canon would pull something out of the hat for PMA – it would be the first time I’ve seen them do it, but these are unusual times. Meanwhile, currency fluctuations force up the UK price of the Sigma 200-500mm f/2.8 APO EX DG HSM which now carries a recommended retail price of £24k – up 50% from its £16k launch price. 23rd Visited the Focus show in Birmingham (UK) today and hoped to see the new TS-E lenses on the Canon stand – nope, just a plain old version of the 24mm put on a 40D body. Even so, the Canon stand was absolutely packed. Update – I’m told the 17mm -was- actually there – unfortunately the three Canon minions I spoke to all told me it wasn’t – thanks folks! 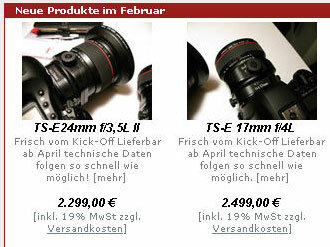 19th Some confusion with the TS-E prices, with Canon Germany showing noticeably lower numbers. Several people have asked if there is any more news expected. I’d say it’s highly unlikely that we’ll see any more lenses until the next camera announcement, although I can’t necessarily see them announcing a 500D and an updated 100-400 L or 24-70 2.8L IS to go with it. 2009 February 18th The forums are rather full of ‘How much!’ and ‘is that all’ comments after Canon announce two £2k+ tilt/shift lenses. No update to the 24-70, no 35 1.4L II and no new 100-400. Then again, they are selling well. 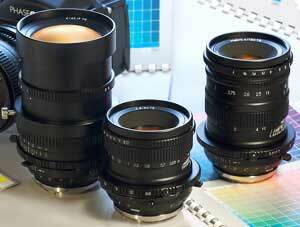 The new T/S lenses are probably been seen with a degree of trepidation by some in the MF market. 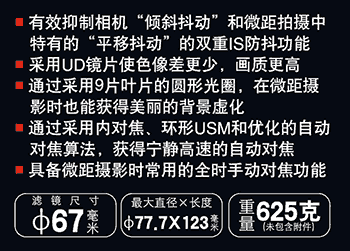 Press info on the new T/S lenses. TS-E 17mm f/4L is available from May 2009 priced at £2749.99 / €3049.99 RRP inc. VAT. TS-E 24mm f/3.5L II is available from May 2009 priced at £2399.99 / €2659.99 RRP inc. VAT. More updated info on the TS-E 17 f4L and TS-E 24 f/3.5L II pages. BTW, if these are new to you, we’ve written an article about using a tilt/shift lens. Amstelveen, the Netherlands, 18 February, 2009: Canon today announces the launch of two new tilt and shift lenses, the Ultra-Wide angle TS-E 17mm f/4L and the TS-E 24mm f/3.5L II, an upgrade to the popular TS-E 24mm f/3.5L.Canon was the first company to offer 35mm camera users a combined tilt and shift lens, With 36 years experience in this field, Canon has now added a new unique functionality to the TS-E 17mm f/4L and TS-E 24mm f/3.5L II, allowing users to rotate the direction of the tilt and shift independently of each other.This affords greater control over the focal plane, replicating the movements of a large format view camera. Canon’s revolutionary tilt and shift revolving mechanism is particularly useful when shooting product shots from a perspective where specific framing and focal plane is required.The new lenses, influenced by feedback from professional photographers, have been created to produce the best image quality with high resolution, high contrast and low distortion. The use of high-precision asphercial front elements keeps distortion, common in wide angle lenses, to an absolute minimum, even at the edges of the frame. The TS-E 17mm f/4L and TS-E 24mm f/3.5L II also feature multiple UD elements to reduce chromatic aberration and optimised focus mechanisms. Hopefully these lenses will be on show at the Canon stand at Focus, in Birmingham (UK) next week. I’ll be there on Monday myself. 17th Well – here they are. Thanks to all the people mailing in pictures and additional info! Does this suggest an all new mechanism similar to the ‘super rotater’ design? We just had a comment (and only that), warning us to expect two new ‘L’ T/S lenses tomorrow. 16th There seems to be more PMA lens rumours than camera ones going about. Of course the 24-70 IS is still mentioned [POTN] but there is interest in the suggested Voigtlander Color Skopar 20mm F3.5 SL II Aspherical (for Nikon Ai-s). Although slated for Nikon F mount, there is some talk of a Canon version. 11th Interesting snippet [DPR] to suggest that the new shift lens would be less than 24mm and that there would be a new UWA prime too. A suggestions further down the thread points to a new TS-E and the wide being the new 35L 1.4, that has been widely expected for some time. I do remember at a Canon event a few years ago being asked what I’d like to see in lenses, and saying that a slightly wider version of the 24 would suit my work a treat, that said, the 24 is one of my important ‘work’ lenses. A caller to Canon US (1-800-OK-CANON) to the sales desk confirmed that the 24 TS-E has in fact been discontinued. The Canon person didn’t have or couldn’t give any info on a replacement. For any new 24mm T/S lens I’d expect to see a very big bit of glass at the front, particularly if the maximum aperture has been upped at all from f/3.5 There is an interesting note on the Zuiko 24mm/3.5 shift at Mir. It’s also been pointed out to us (thanks) that if you go to the ‘lens chart’ section of Canon US lens info pages (mid RHS), the PDF that downloads has rather a lot of lenses marked as discontinued. 8th It’s not just the TS-E24 that’s gone. 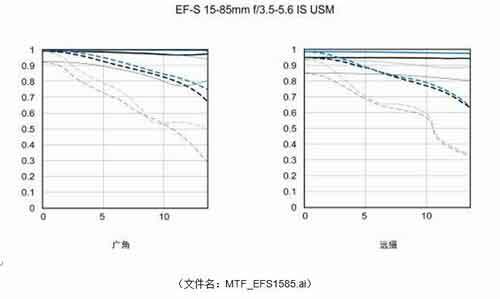 Thanks to the folks at the useful EFlens.com site for pointing out the rest of the lenses that have been ‘retired’ from the Canon US site. Apart from the 24 TS-E. it looks like a way of reducing inventory, since some of those lenses probably don’t sell that much. Any more replacement news anyone? 7th The 24mm TS-E lens vanishes from Canon’s US page. Still there at the moment at Canon UK. We’ve heard comments about this lens for some time, but have never had any really firm information. The difficulties in designing a retrofocus 24mm lens with a large image circle mean that any improvement on the current f/3.5 will mean a very big bit of glass at the front, and it certainly won’t be cheap. Note that the well regarded Nikon 24mm PCE is also only f/3.5. With lens prices rising, we’ve had a couple of reports (UK and NL) of the 70-200 f/4L IS dropping in price. 21st I’m told (thanks) that at least one UK supplier is saying thet the EF 50mm f1.4 lens is ‘no longer available’ – anyone else hear anything? Time for a new ‘standard’ lens anyone? It’s noticeable that the 1.4 is quite an ancient lens in the EF range, with the optics going back to the 70’s. There’s a review at DPR that shows what’s there at the moment. 16th A suggestion that the EF 17-40 f/4L is due for an update this year [CR] …no IS though. 13th UK lens prices are on the up at some dealers – for example the 24-70 2.8L has gone up from ~£800 to £950. Time to shop around if you wanted a new lens, since I still see it listed at below £800 by quite a few dealers. 12th A suggestion [CR] that the 300/2.8L IS is due for an update before long.